Bright Eyes fans, rejoice at the news that "due to extreme demand", Bright Eyes have announced a few more shows this summer! 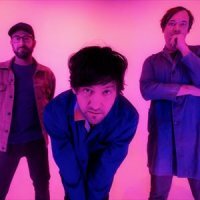 After two London gigs, which sold out in no time (at Scala on 14th February - release date of their eighth album 'The People's Key' - and at the Royal Albert Hall on 23rd June), Conor Oberst and his mates have added three shows to their itinerary in July. The band will perform at Birmingham's HMV Institute on 8th July, the O2 Academy in Leeds on the 13th and Manchester Academy on the 14th. There is also speculation they might be making a few festival appearances (Glastonbury? T in The Park? Who knows?) so watch this space. Tickets for Bright Eyes' mini tour are on sale now and cost £17.50.